More and more, airlines are finding that the interior elements of aircraft – soft lighting, color, décor, and seating among them – make a difference in the flight experience. Problem is, buyers for such items were traveling the world to sample the merchandise. Boeing is trying to change all that and make life a little easier. The aircraft manufacturer last week opened its new 737 Configuration Studio, a facility where airline customers can choose their interiors. The 20,000 square-foot studio is located in the Seattle suburb of Renton, Wash., close to the factory where Boeing produces an average of 42 737s per month. The 737 Configuration Studio is similar in nature to Boeing’s 787 Dreamliner Gallery and serves as a private showroom environment to assist Next-Generation 737 and 737 MAX customers with the design and configuration of new aircraft interiors. "Our customers make a large investment when they choose their interiors," said Beverly Wyse, vice president and general manager of the 737 programm at Boeing. "This new studio offers one-stop shopping, eliminating the need for them to fly around the world to meet with different suppliers." Indeed, that has been the modus operandi for airline buyers who purchase everything from seats to entertainment systems, and then have Boeing install the interior features during final assembly. The new Configuration Studio not only eliminates that, but the high-tech space gives the buyer a chance to take it out for a spin, so to speak. Boeing says more than two dozen major interior configuration introductions are expected over the next two years for the 737. The new studio allows customers to not only select what they want, but to to see it side-by-side. 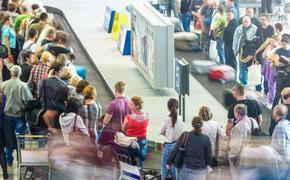 Customers can see, touch and experience choices in galleys, seats and in-flight entertainment. They also can select interior colors and decors that complement their respective brand. 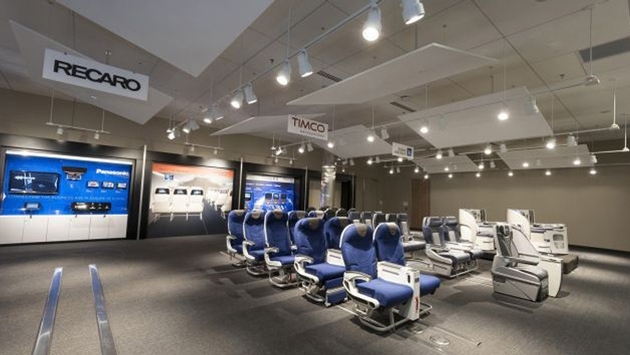 Additionally, customers can use the 737 Boeing Sky Interior light lab to study how fabrics, carpets, drapes and uniforms appear under various light settings. The facility also houses the "new features room," which provides customers with a glimpse of future technologies.